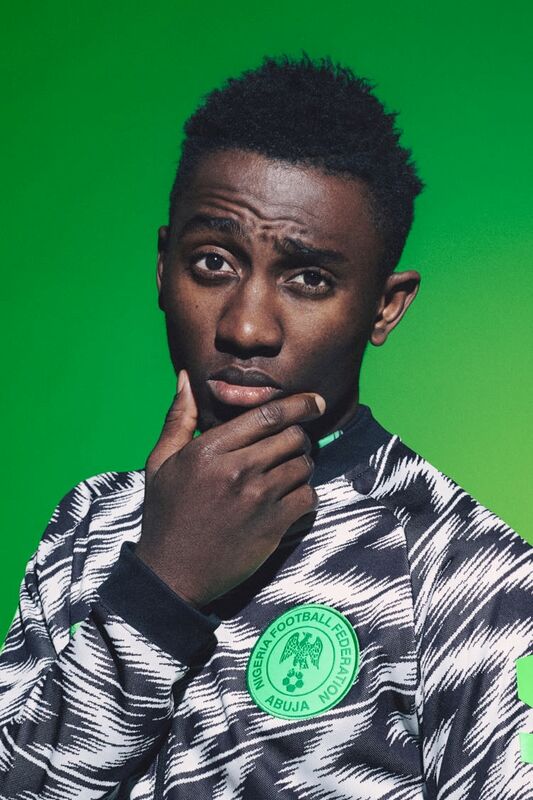 As the Nigerian National Team steps onto the world's stage, the world will know they've arrived. Inspired by the gold-medal winning "Dream Team" of 1996, the collection celebrates a rich history as a new generation looks to make its own. 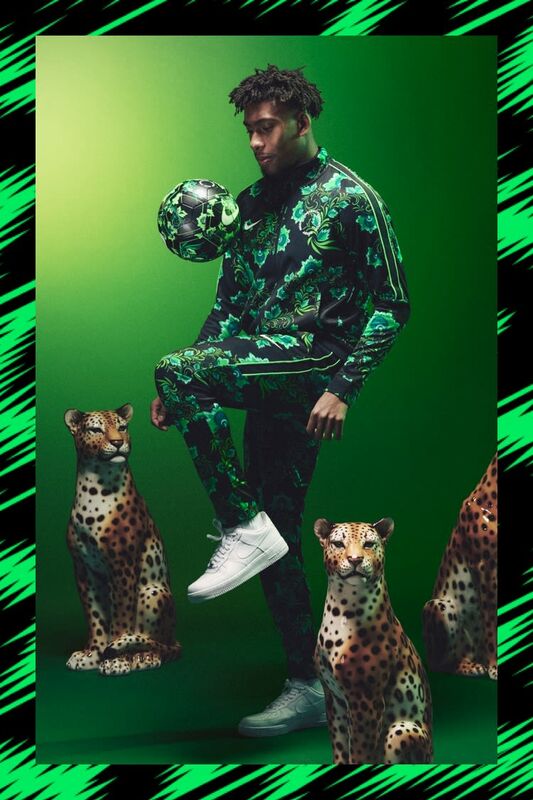 Featuring a travel suit, anthem jacket, training apparel, pre-match top, bucket hat, footwear and kits, the Naija collection will stand out in the stadium and on the street. 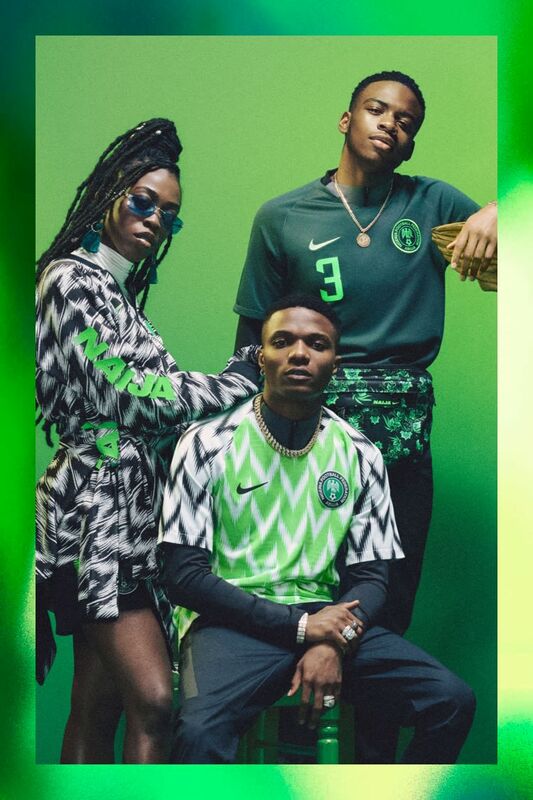 For the national team, "Naija" represents the new Nigeria. 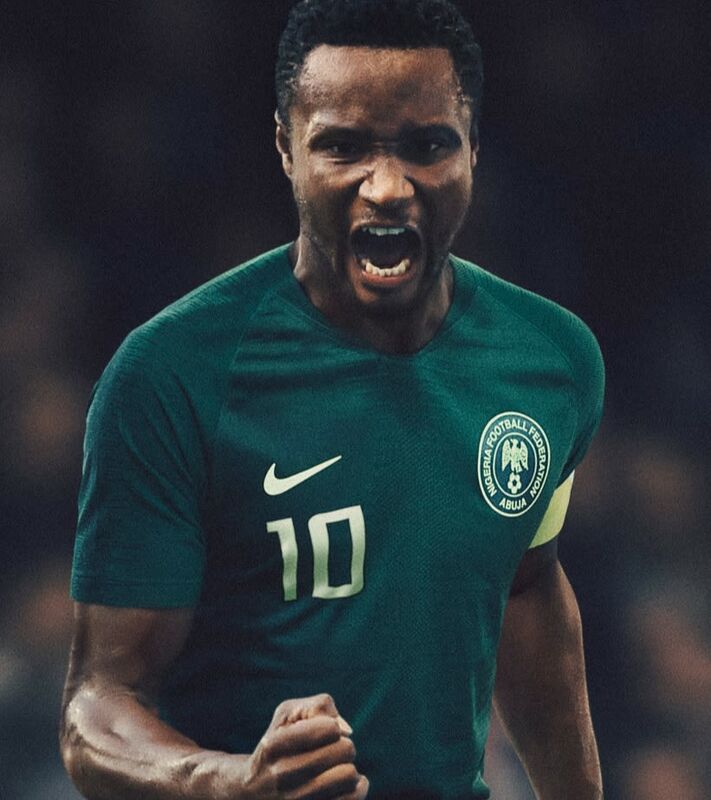 The affectionate nickname embodies the national pride the federation will bring to Russia and is prominently featured down the sleeves of the Anthem Jacket. 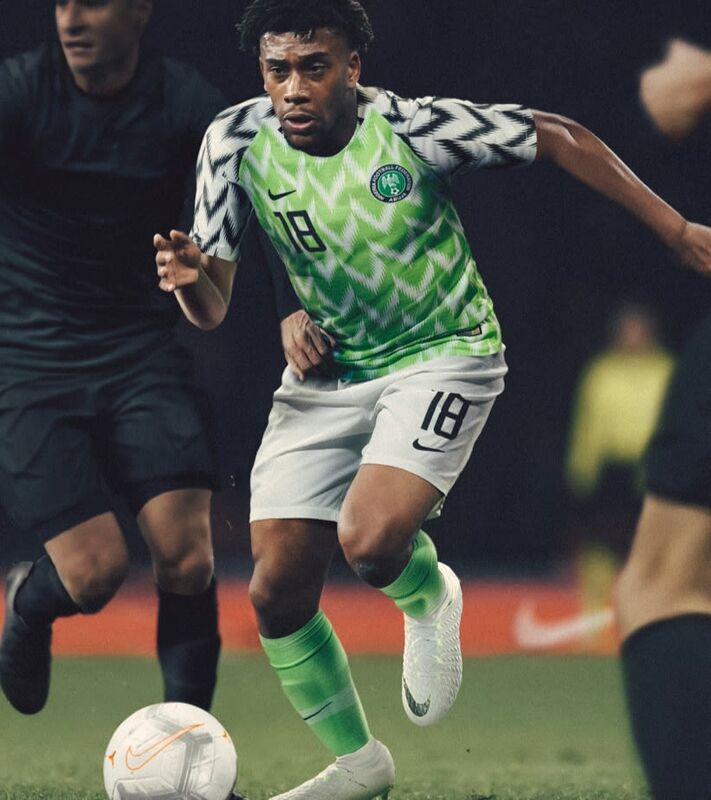 With a further-abstracted version of the feather graphic on the home kit, the Pre-Match Top embodies the youthful vibrancy of the Nigerian side. 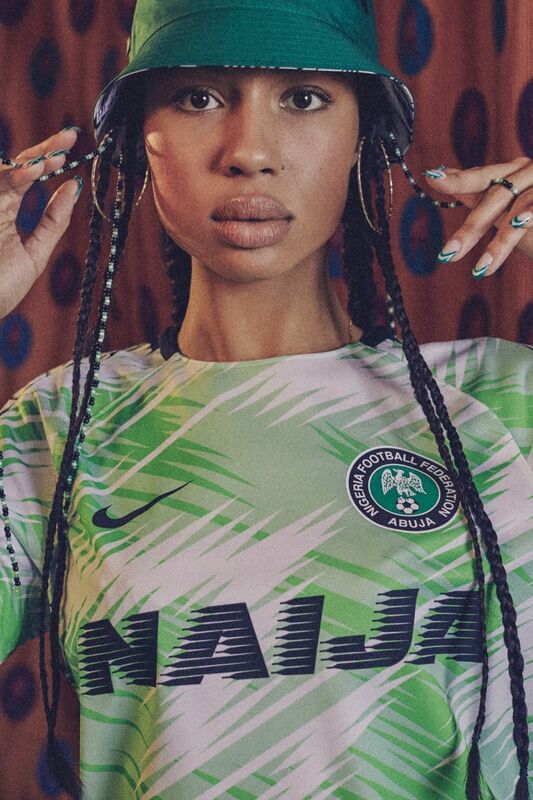 The central design theme of the collection is a feather pattern inspired by the 1994 Super Eagles who first brought Nigeria to the world stage. 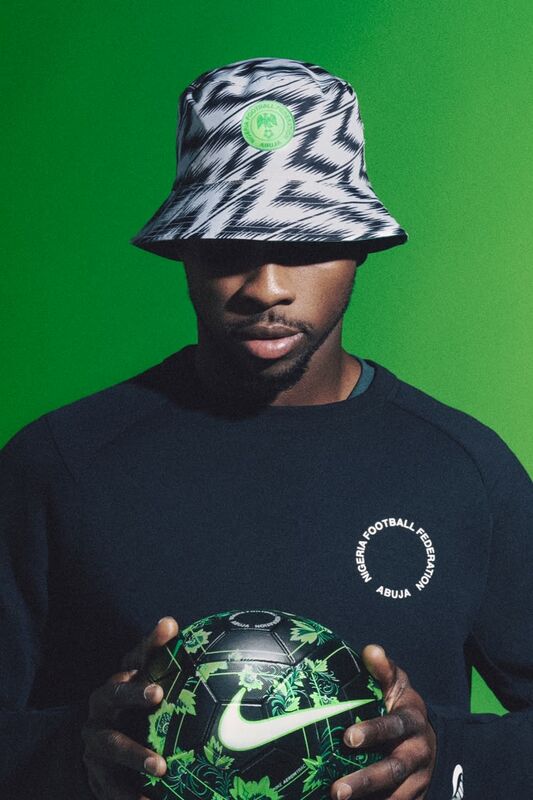 The iconic graphic is featured prominently on one side of the reversible bucket hat, while the other reveals the flat, traditional green of the team's away kit. Perhaps the most distinct piece of the collection, the travel suit features a bright green floral design on a black base—a fresh, contemporary aesthetic to the team's colours, and the most stylish way to arrive.